La Maison Couture has this beautiful Karl Mask Plate by Sasha Tugolukova. It is part of a unique collection of illustrated Mask Plates by contemporary ceramic artist Sasha Tugolukova. 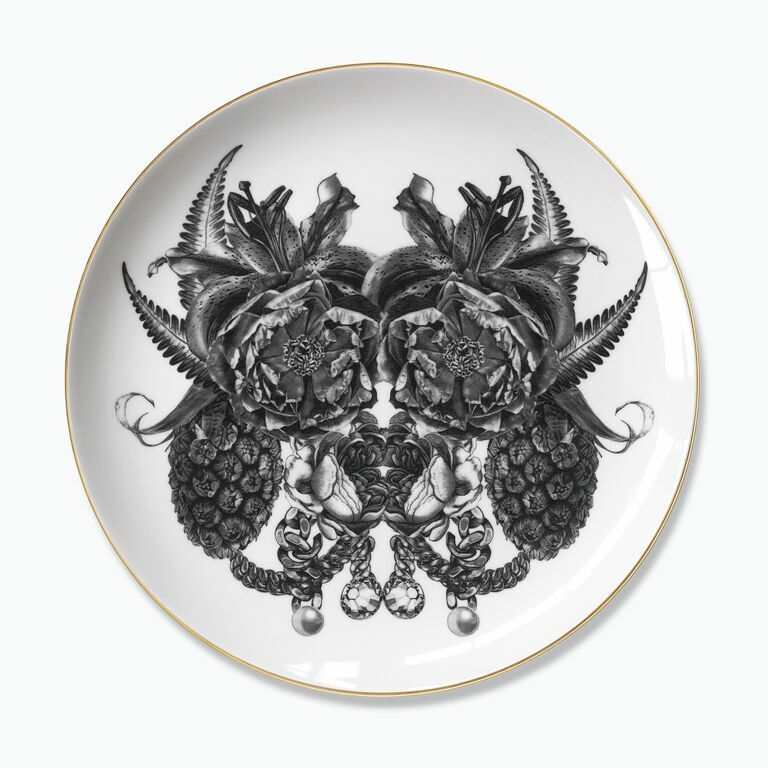 Each plate is designed using traditional techniques of hand applied pencil illustrations onto fine bone china, using floral motifs that are composed into multi-faceted masks. Initially designed as a set of three, the collection continues to evolve making it a lasting piece of collectable art to admire and cherish. Part of a collection of Mask plates by Sasha Tugolukova. Shop from the Mask plate collection – available at La Maison Couture.